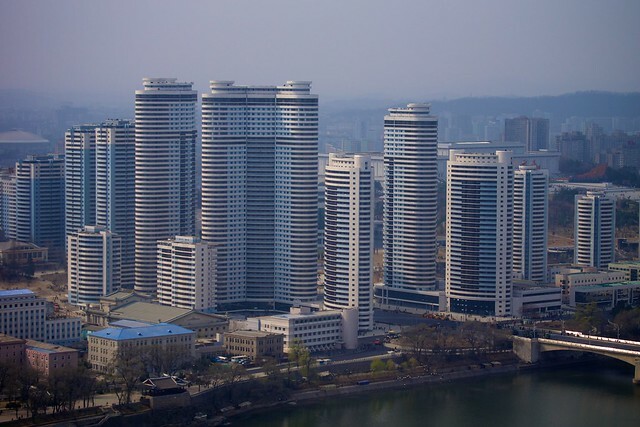 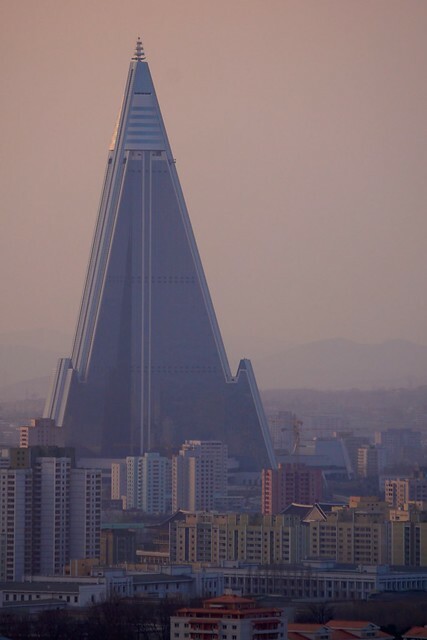 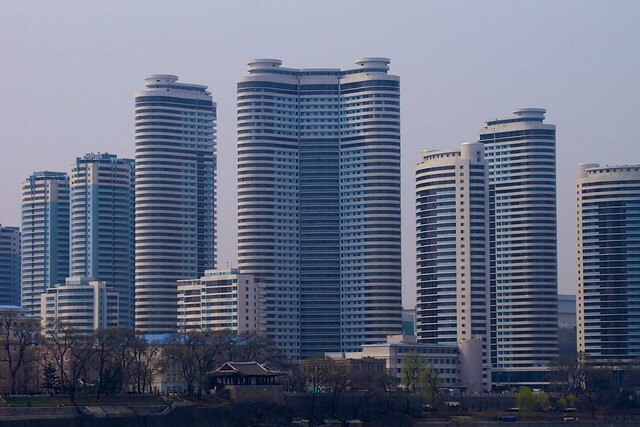 Built in 100 days* to commemorate the 100th birthday of ‘eternal president’ Kim Il-sung, the new Mansudae housing project is the latest addition to the Pyongyang skyline. 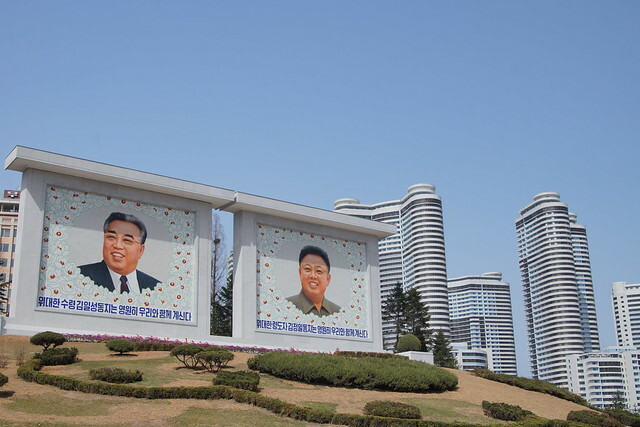 Also seen in the picture above is a new mural of Kim Jong-il. 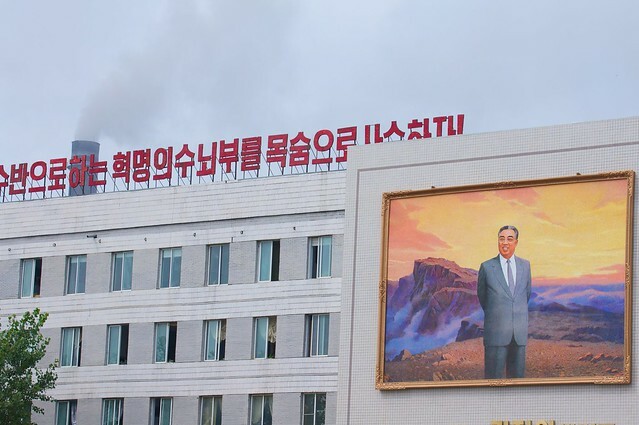 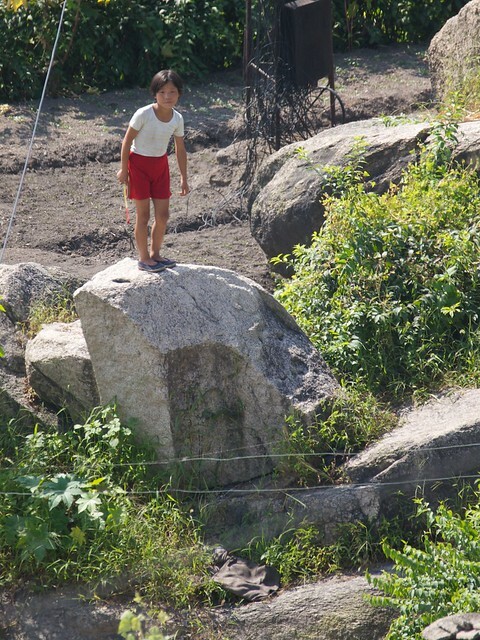 Conspicuously absent during his lifetime, grand murals and statues of Kim Jong-il are being unveiled and installed throughout Pyongyang. 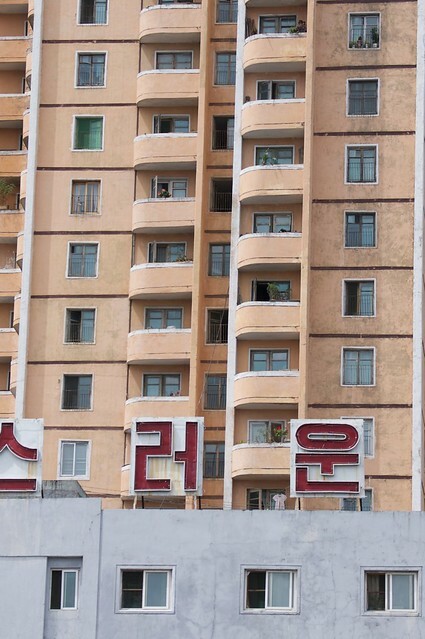 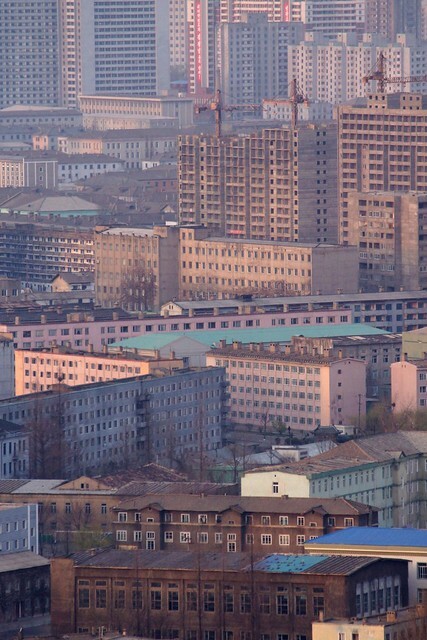 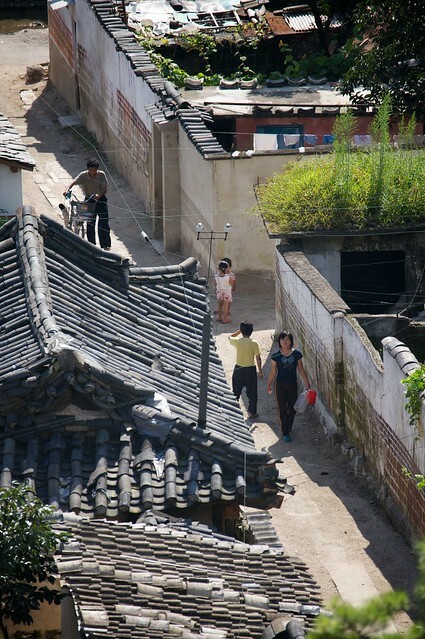 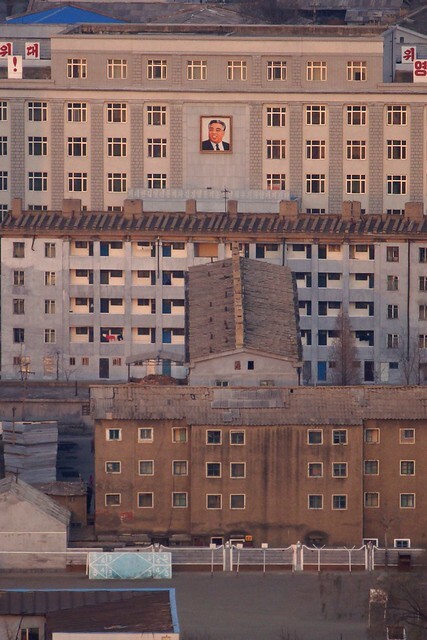 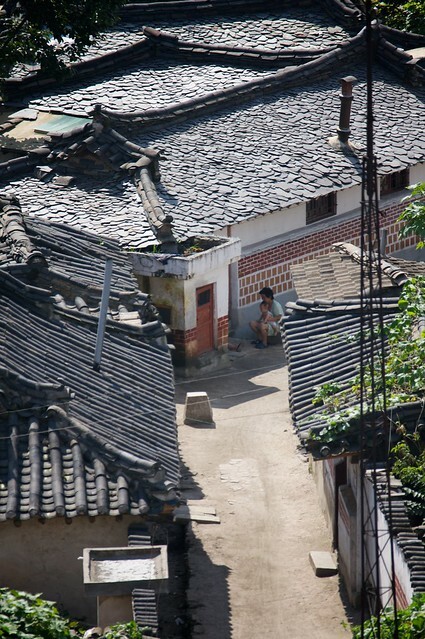 View of the Mansudae housing complex as seen from the base of Juche Tower. 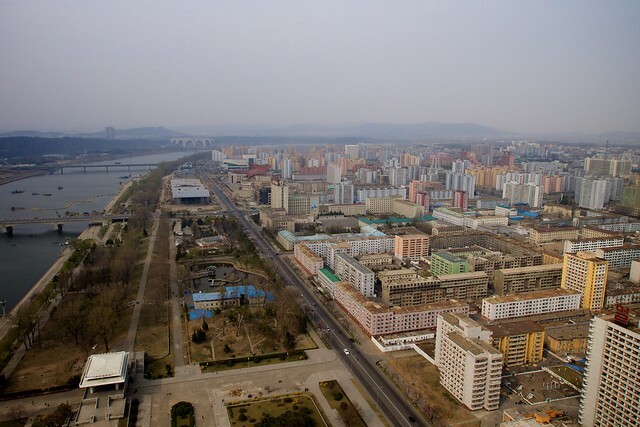 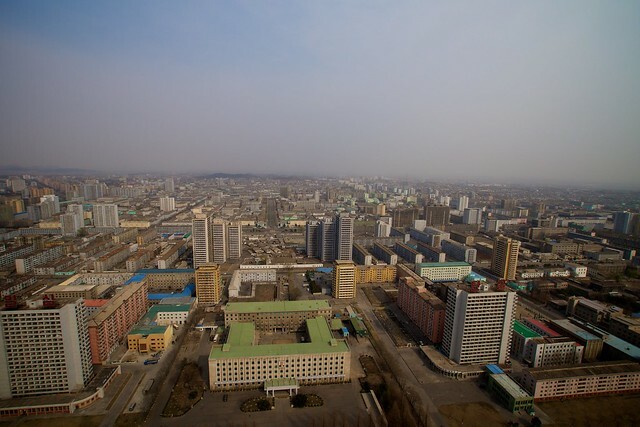 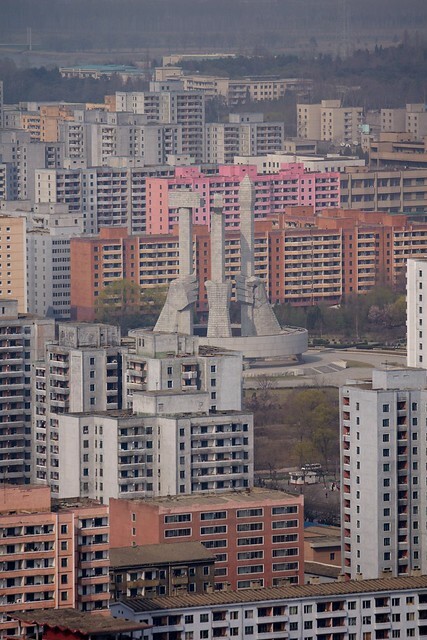 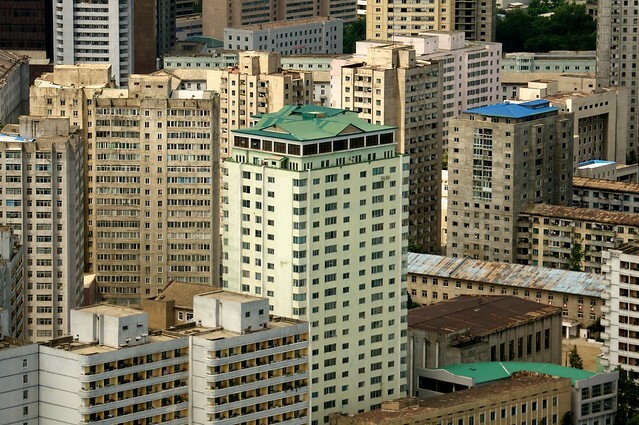 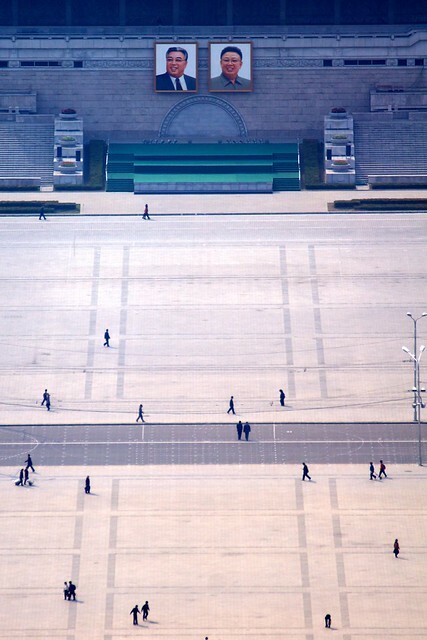 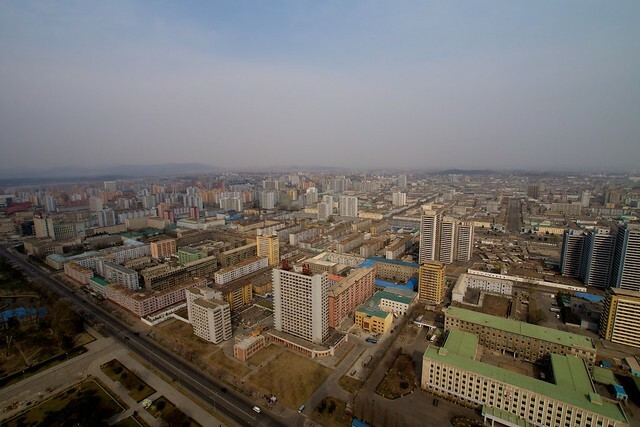 View of Mansudae housing complex as seen from the top of Juche Tower. 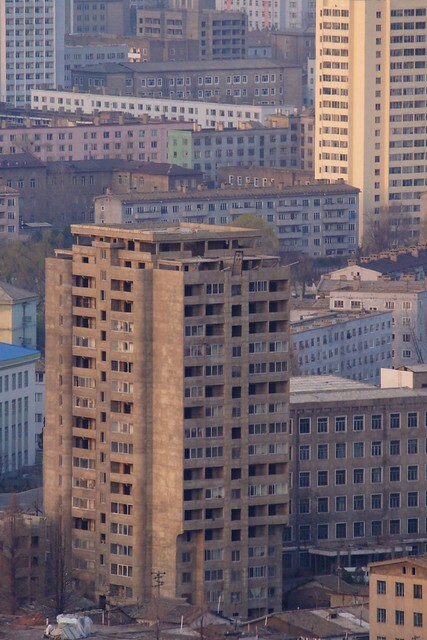 Video of the Mansudae housing complex nighttime light show – shocking evidence of change in the DPRK considering that last summer the city was blacked out by power shortages every night by 9PM. 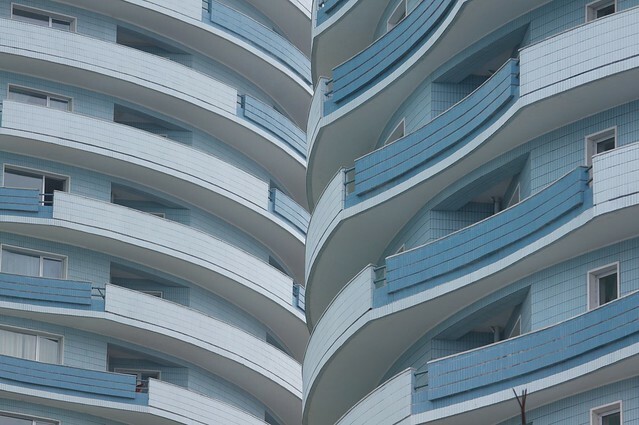 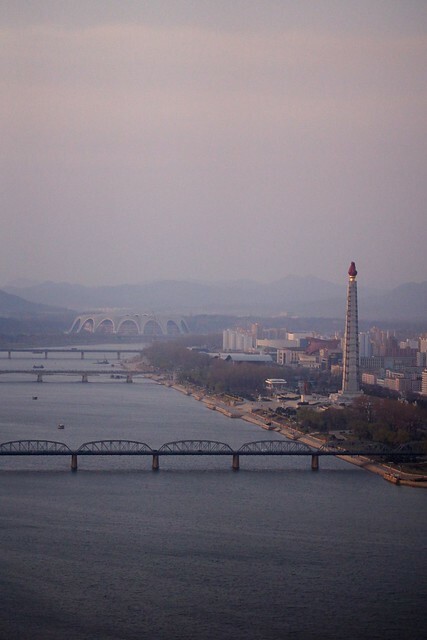 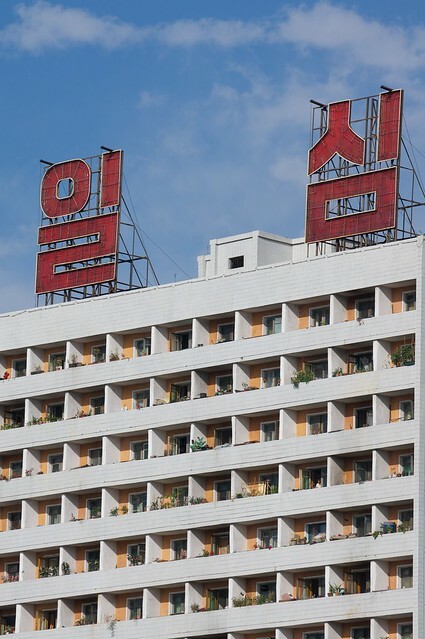 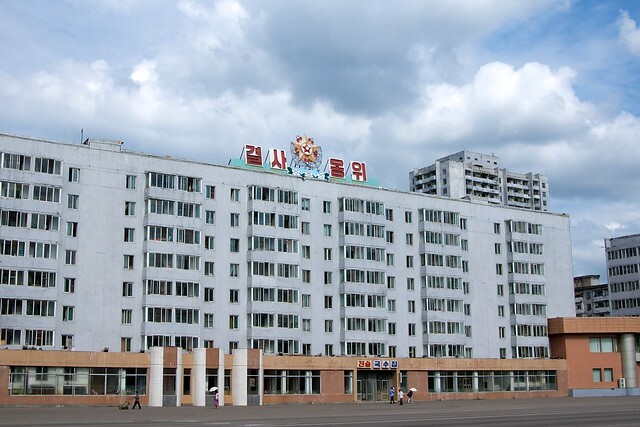 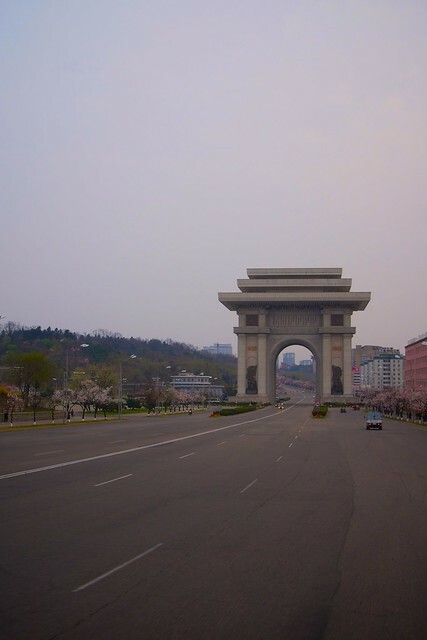 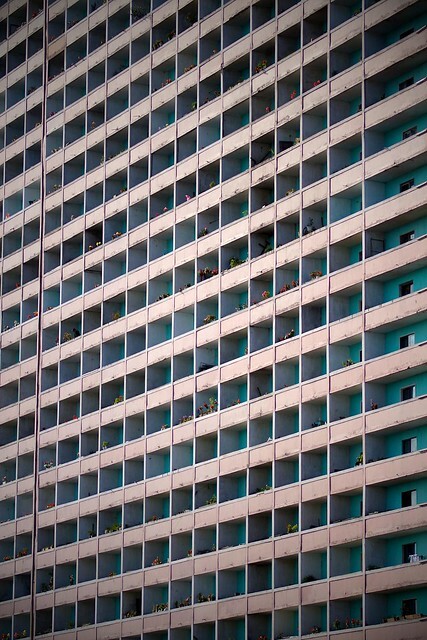 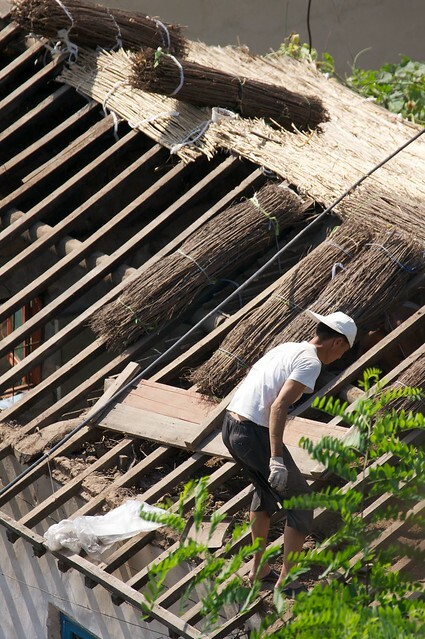 *Although said to have been built in 100 days, I was told the construction of the Mansudae housing complex took a little longer than that – but it was still done in an amazingly quick time. 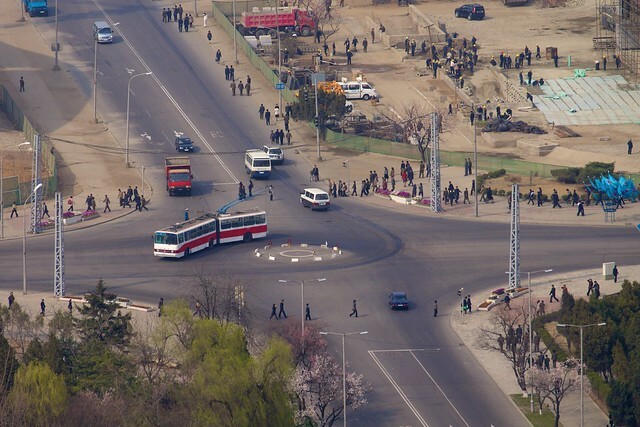 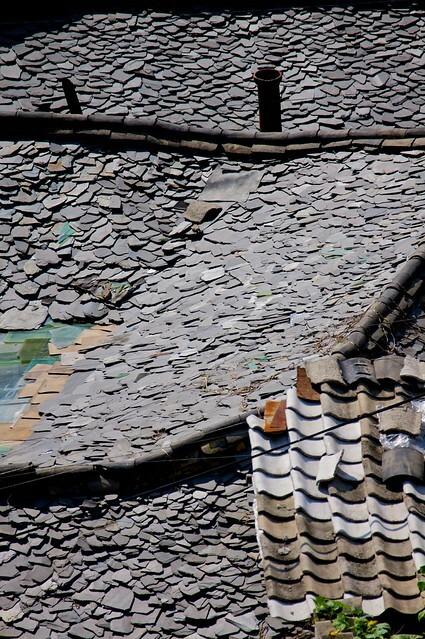 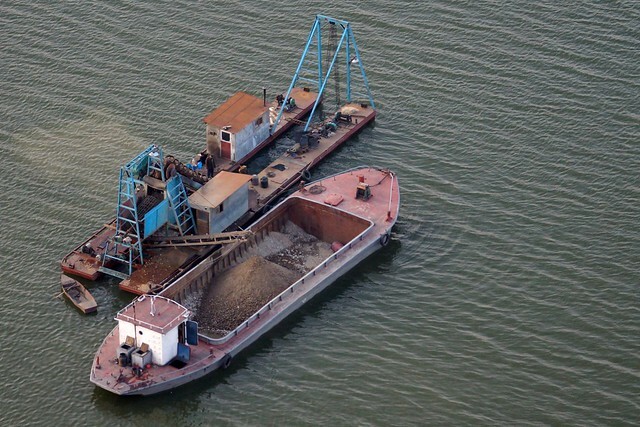 I don’t remember any construction in that area of the city during my summer 2011 visit.